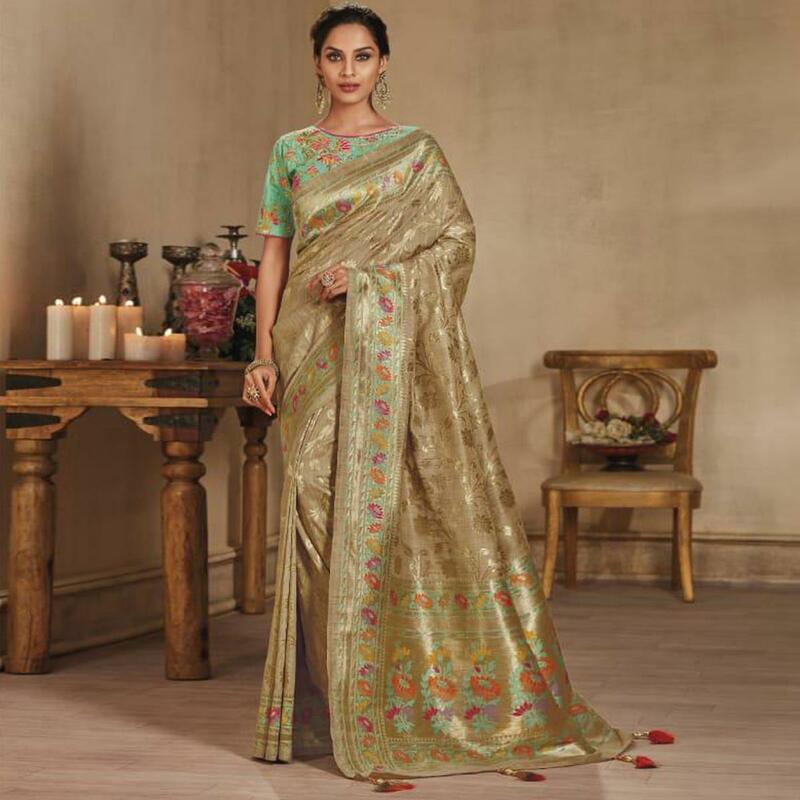 Create a smoldering impression by this beautiful beige colored saree. 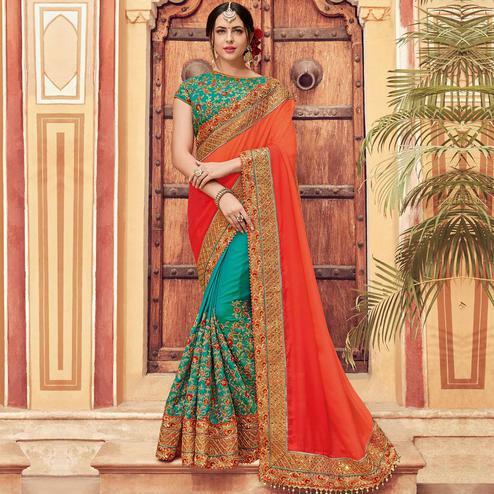 The saree creates a remarkable jacquard motif which makes this saree so elegant. 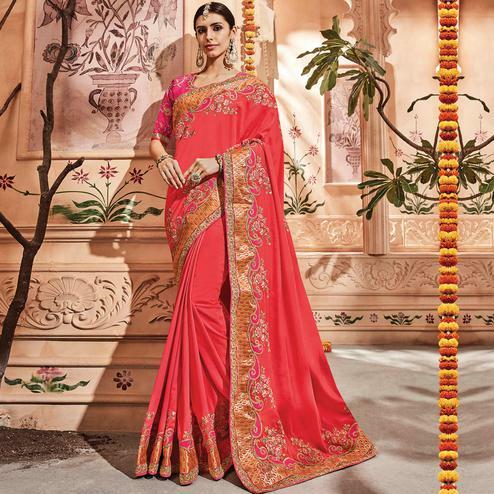 This beautiful saree has been designed using pure banarasi silk fabric accompanied with an unstitched embroidered silk blouse piece that can be stitched as per your style & requirement. Team it with stylised accessories to make your looks more beautiful. This attractive color saree would surely attract you showers of compliments when you wear it for parties, functions, weddings or occasions. 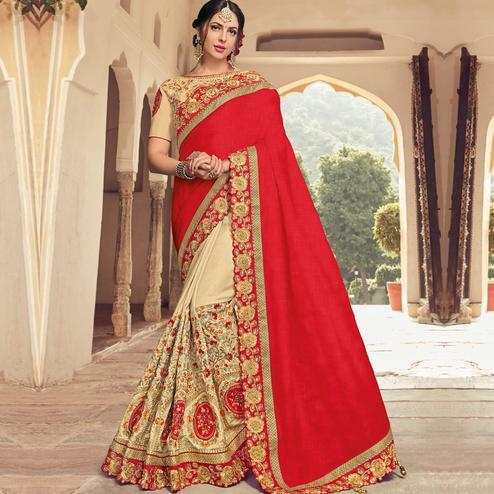 Buy this saree now as it's a unique piece with attractive color and designs which is rare to find.